One who loves travelling must visit to this beautiful and gorgeous state Sikkim where you will love to spend lots of time. Sikkim is the state where you will find wonderful and unique things about our Indian culture. The sumptuous cuisine and scenic beauty will fascinate you and make your mind blow. The trekking, captivating sightseeing, hanging out and exploring different place will surely make your trip to Sikkim a memorable trip. In Sikkim there are many tourists’ spots if you are planning for a vacation to India. In case if you are looking for short guide than have a look at best tourist places to visit in Sikkim. Gangtok is capital of Sikkim. 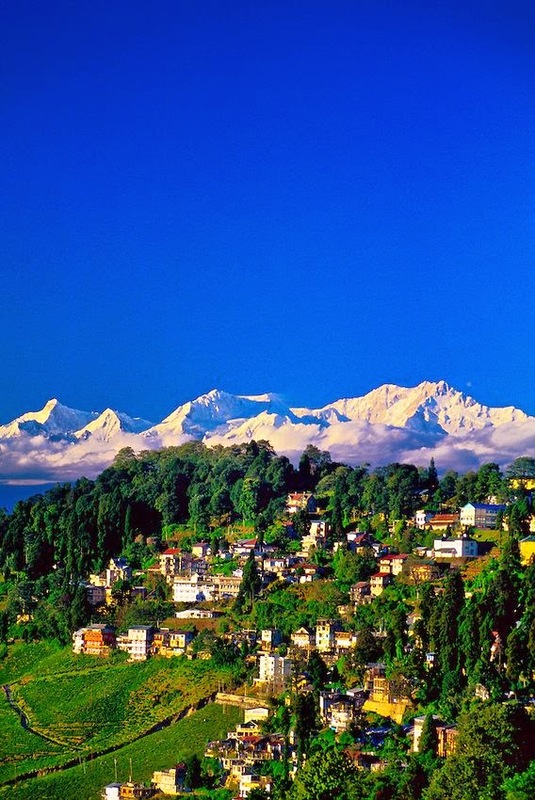 It is located in the eastern Himalayan ranges and is largest town in state. Here in this beautiful city you will find different ethnicities such as Lepchas, Indian-Nepalis and Bhutias. Weather in Sikkim throughout the year is mild and is great place for tourism. Soreng is picturesque and beautiful village located in the western part of Sikkim. This city is surrounded by lush green hills and has wide variety of animals and birds available. If you are an eco lover or a bird watcher than this place is made for lovely people like you in short Sorenge is ideal place for you! Mangan is lovely and beautiful town which is located in northern part of Sikkim. We had seen huge growth in its economy due to its tourism. This place is quite known by tourist and has temperate climate. Visiting this city will surely make your tour a wonderful experience. Sikkim is not only well known for its tourism and its beautiful valleys, cities and hills but also for its enchanting lakes. Very famous lake in Sikkim is Menmecho Lake. This lake is famous among tourists for its tourt fish and lake formed by melting snow during summer and in monsoon season. Nearby to this lake it has various fish farms. This is main market and Main Street of Gangtok. It is one of the great place and famous place to hangout with your family and friends. You at attend fun carnivals and can visit Titanic park here in M.G. Marg Market. During holidays this places is highly crowded. Padmasambhava means Lotus Born. This place is located in Namchi of Sikkim. This is an ancient sage who has highly influenced Buddism in countries like Tibet and Bhutan. The structure of guru is gold in colour and is magnificent statue. You will surely like this place. If you love adventurous and trekking then this is your destination. This place is 3 hours away from state capital Gangtok. This city is located at Chinese border. At this place only Indians can travel that too for few week permission is given by government. If you love to raft then make sure you visit to Teesta River. The sparkling rivers and high cliffs will add to the thrills. You can visit this place during October to December. I am sure if you are adventures person then this place must be visited while tour to Sikkim. You will find exotic range of orchids at Nehru Botanical Garden. A mix of plants and trees are also available in this garden. For young ones there is small playground in this garden.